Three more WiiWare games accompanied by one each for DSiWare and Virtual Console. Enough options to make anyone's head spin! There seems to be a resurgence in Nintendo's focus on WiiWare - There were three new WiiWare games last week and there's three more this week. They're probably not the titles most people were waiting for, though... It should also be noted that every single game this week is new to western shores, so we don't have any reviews yet - Think before you buy! Drill Sergeant Mindstrong comes off as a fun party game with an army recruit theme, but judging by the Japanese release it seems to be nothing more than solving mathematical equations faster than your friends. The 800 Wii Points price doesn't really seem to work in its favour either. We'd like to be proven wrong though - Watch out for our review this week. In NEVES Plus, you are presented with a big picture - You are then given smaller blocks, which you must try to turn and fit together to recreate that picture. It's a sequel to a DS game released in 2007, and with (supposedly) over 500 different puzzles across multiple different game modes, for just 600 Wii Points, we think this could be a very good purchase if you like puzzle games. We'll have a review soon, of course. We all knew it had to come sometime - Family Mini Golf is the fourth game in Aksys Games's "Family" series, which was preceded by Table Tennis, Glide Hockey and Pirate Party. As the title implies, this time you'll be playing mini golf. Of course, we always hope that new WiiWare games are good, but the series's track record doesn't exactly work in Mini Golf's favour! As such we recommend staying away from it until we've reviewed it. The game costs 500 Wii Points, just like the previous three. Europe has three Art Style games on DSiWare which North America has yet to get - But for some reason Nintendo of America has decided to release the one game Europe doesn't have yet first. Art Style: BOXLIFE is the western equivalent of Japan's HACOLIFE. In this installment of the Art Style series, you are presented with what is basically a bunch of squares on the floor - Your job is to cut them up and then fold them into nice cubes. There's both an increasingly difficult R&D mode and an endless Factory mode, and there's a number of things to unlock to keep you busy as well. As with all DSiWare Art Style games it's just 500 DSi Points - We'll have a review up ASAP. The Virtual Console's single new game this week was already announced in advance by Hudson Soft. SimEarth: The Living Planet is another game in Maxis's line of "Sim" games, which also includes SimCity, SimTower, and of course, The Sims. It's generally considered to be the hardest to play in the series, by far - This time you're managing an entire planet instead of a city or even a single house, so as you might expect, there's a ton of available options. Just take a look at Hudson Soft's online manual for the game to get a good idea of how much stuff there is to do! For the strategic masterminds, this game is pretty much a heaven - But people who like their games simple might want to stay away. Look out for the review soon! Familiar activities get a funky boost with this week's additions to the Wii™ Shop Channel and Nintendo DSi Shop™. A trio of fresh WiiWare™ titles will have players wrapping their minds around unique puzzles, entertaining brain drills and awesome mini-golf courses. A new Art Style™ game for Nintendo DSiWare™ turns cutting paper into a cool hand-held gaming challenge. And simple things like air and weather conditions become exciting game elements in the latest classic offering on the Virtual Console™. Description: Line up and get ready to use your mind. Drill Sergeant Mindstrong is a party game that allows up to four people to play at once. Players become boot-camp trainees under the tough Drill Sergeant Mindstrong, going through mind-boggling, mind-training games. The rules are simple, but concentration and quick thinking are key. Become the top boot of your class and earn promotions based on your efforts. This game is best played with friends and family. Description:Try your hand at the newest puzzle craze to come out of Japan, NEVES Plus! Enhanced for WiiWare, NEVES Plus not only retains all the simple, mind-bending tangram-based game play from the original Nintendo DS™ version, but also includes new multiplayer modes wrapped up in an Egyptian theme. This time, you and up to three others can work together to move, rotate and flip the seven Lucky stones into each of the 500-plus silhouette puzzles. You can also challenge one another in new multiplayer modes such as Versus, Speed, Lucky Number and Party Mode. Whether you play every mode by yourself or with friends, NEVES Plus is set to charm you with harder-than-they-look silhouette puzzles. Description: Daddy, Mommy, Sarah and Billy are back for some mini-golf action. Play through multiple golf courses that contain obstacles ranging from bumpers to speed ramps to fans and more. Up to eight players can play together using a single Wii Remote™ controller. You can download new courses to expand your fun-filled mini-golf experience, creating even more complex and difficult challenges to overcome. Can you conquer all the courses and become the mini-golf champion? Description: Climb the corporate ladder in the world of BOXLIFE using your wits and... paper? Use the Nintendo DSi™ stylus to cut and then manipulate the paper into a box shape. Be careful-if you're not efficient with your cuts, you'll waste paper and be penalized. R&D mode teaches you new patterns and challenges you to complete various ranks, while FACTORY mode gives you the chance to earn money by making as many boxes as possible from an endless sheet of paper. Success in each mode brings its own reward: Clear ranks to earn a promotion, change your character's appearance, and use your earnings to acquire new items for your character's miniature garden. With this game's stylish graphics and catchy sounds, thinking inside the box isn't such a bad thing. Description: An entire planet becomes your laboratory in this large-scale simulation game. Players help foster new life and promote its evolution into life forms of higher intelligence. Guide civilization along the path of evolution until it can achieve Exodus, the ultimate goal of settling on another planet. The basic challenge of the game is to maintain a comfortable environment for the life forms by adjusting atmospheric and geological parameters. Small organisms called Prokaryote and Trichordate will grow and evolve into a multitude of life forms. Making a drastic change is a recipe for disaster. The key to success is making small adjustments and watching how the life forms react. SimEarth also includes planets with environments different from Earth, such as Mars and Venus. Try your hand at terraforming these planets with harsh conditions and creating a world where life can thrive. Eh? Those WW games kinda came out of the blue there, didn't they? NO Super Smash for North America? that's a real shame guys. am tempted by Boxlife because i just finished Starfy last night and it looks vaguely interesting. anyone got any first impressions of it yet? SimEarth - TOO MANY OPTIONS!!!!!!!!!! My god will it ever end? Every week more and more crap nobody cares about. How much longer do we have to wait for the original Mario Kart, Super smash bros, Cave story on Wiiware or Castlevania Rondo of blood? Sometimes I don't know why I even bother checking each week. Yay again for three releases. Hopefully this sticks especially since there are quite a few titles that we should already have. So, what's everyone getting today? I may give NEVES Plus a go. If so, I'll come back with impressions. What a random update. I was expecting an Art Style, but one Europe already had, and the WiiWare games, out of no where. The only one I was expecting was SimEarth, we already knew. But STILL no Smash??? But I'll be getting BoxLife. I can't wait! But what a stupid name, lol. -We get a TG16 game this week, but where's Rondo of Blood and Ginga Fukei Densetsu Sapphire? -Who's going to be the guinea pig for WiiWare this week? Speaking of XSEED Games, we might not get the sequel to Retro Game Challenge due to low sales of the original. @Link79: face it, Nintendo hates you. @MethodOne: NL already covered that sad news. If I can just forget my brief but scarring foray into warehouse / industrial temp jobs one summer back in undergrad, this should be plenty o' fun. I'd say that this is a fine example of where quantity preempts quality but Family Mini Golf at least looked interesting. Hopefully the review will be out before it arrives in Europe (I'm hoping for Lit this week - or even better Pokemon Scramble) Hopefully the rest of the WiiWare/VC lineup can be avoided. I was told that the Expert courses in Family Mini Golf are really hard. Also, I've been told that it does have high-scores so it already has one on FF Minigolf. For anyone interested, there's a site with info on the drill sergeant game. Just type in the name. Unless I get Neves, I may just have to break down and get mega man 9 or MAYBE FF4TAY. wow 3 wiiware games and only 1 maybe good i guess the good wiiware games have to come at an end sometime. Well it's about time we got an Art Style game! I know the name is stupid but trust me, it's just as good as all the other art styles. It's also got a very creative concept that isn't quite like any puzzle formula iv'e seen before. It is quite addicting and exactly the kind of thing we need on DSiware. When the clock strikes 12 BUY IT!! I have a feeling in the pit of my stomach that this one is in for some less than amazing sales.......As for NEVES. I'm seriously tempted to buy but i am also very hesitant. Anyone who wants to post 1st impressions would be very much appreciated. Another crappy update. Who cares about the VC game yet again this week, and the 3 WiiWare games look pretty forgettable as well. Hopefully SSB comes out next week along with Icarian and Contra: Rebirth. Well...this is random. No Icarian. And I just bought my 2000 point card too (thankfully S7S is keeping me occupied). I want Nintendo to slow down on the Art Styles though. I'm one of thsoe people that can get "puzzle overload", and it also makes me wonder hohw much time and effort Nintendo is putting into these since there are already what, eight or something?, since DSi's launch. Why are they paying more attention to the crappy WiiWare now instead of the VC. I'd take three VC game weeks over three CrapWare weeks any day. And yes, I stand by that CrapWare statement. The only game I've bought for it this year sadly has been Bubble Bobble Plus. Nothing else has really interested me for WiiWare this year. I'll probably wait to get all the chapters of The After Years at once though if I decide to get it. Hopefully Final Fantasy will show up next week and as usual I'm getting nothing this week for the VC. people, when we don;t get some sort of press release about a monday release from a dev who has been excited about their wiiware game's quality and pushing it for a while, then you should know not to expect good things that Monday. Neves might be kinda fun, but I'm glad they pumped out 3 of the more forgettable wiiware releases of the summer in one week. They could have strung them out one by one. No Cave Story OR Smash Bros? Bummer. Quite a good update. It's great to see PC Engine games being released on VC again. Another pass week. Sorry, WiiWare, I'm really only interested in Virtual Console. And SimEarth isn't anything I want. Does anybody even care about SimEarth? or is it just frustation of not getting any Triple A titles for a while? Also as for WiiWare one game does sound kind of decent which would be Neves Plus and the others do sound bad. Oh well I'll just get SimEarth. @TheEmulationZones: Hey! I believed you when you said the thing about Flipnote Studio! Also, I just had the strangest feeling that BOXLIFE may just come to the US first. guess I was right! While I appreciate the increase in release quantity of late (even if only WiiWare), I'm disappointed that they've continued to manage to release nothing I want, week after week. When PSN recently had a stretch of 3-game weeks, there was a MUCH better chance I'd want at least one of them than with WiiWare. Oh, well, I guess I'll just go back to playing PS3, then. Looks like another party game. If it dosen't have online multiplayer,I'm not intrested. Looks intresting,but I might get another Art Style game instead. I love strategy games,so I will certainly buy this game. But still no Super Smash Bros.!? Although Mindstrong doesn't sound like a game I would ever get (I believe I ranted about it some time ago), I'm actually slightly hoping that this game gets a good review, since XSEED needs the money. Still waiting for Cave Story. With each week, we get more complaints. Seriously guys, grow up. When we see one game releases, for either WiiWare or VC: people complain that they rather have more games released than just one for the sake of variety. Now we see a load of WiiWare games, and people still complain. We all can't have what we want at the same time otherwise everyone wouldn't bother coming back anymore. Besides, we all know how slow Nintendo does take to release THEIR titles so just let it come when they feel good and ready to release them. Heck, for the VC, we are granted what is the earliest version of Spore w/o the creature creator. It's not like they read the blogs....oh wait. @joeshabadoo: "Convert rockband pepsi caps into 200 wii points each"
Whoa, how do you do that? I've got Orbient and Cubello, but would be willing to give Rotohex a spin (ha?) if I had 600 free points lying around. I remember SimEarth from the PC. It's a fun toy but I'm not sure how much you can really do with it game-wise. That is an excellent update for the NA community. Neves DS was a good game. I will probably download Neves Plus when it eventually comes to the EU. Mindstrong is another one of my radar games. Think I'd stay away from the "Family" game personally! @ joeshabadoo: Really?! I thought that could only be used for downloading songs in the game. Ah, the last Art Style game. Let's hope the other three out in EU won't be held back for long for a NA release. I really want to play around with Code and Kubos. Yet again, DSiWare gets a great big THUMBS DOWN!! I think I created a new rule for American WW releases. If you're going to name something "...." Plus, price it at 600pts! Sim Earth looks cool, but for 800pts? I don't know if it's worth it and unless a review changes my mind about the wiiware games, I'm not getting any of these. What a waste of a monday. Nothing for me. Cave Story, where are you? Hurray! Finally, SimEarth arrives! I've been waiting a long time for this. @Supermarioman: "Does anybody even care about SimEarth?" Yes, several of us do, as evidenced by this thread. And I STILL can't fathom why people whine about SSB so much. It's a really basic and outdated version of a game you all own anyway, and it's bound to severly dissapoint all who don't have nostalgic attachment to it. And for those people, if you liked it so damn much, why did you sell it in the first place? yeah guys, set up a yahoo email address if you don't have already, then go through that account to enter the 12 digit alphanumeric code on the yellow caps that have a rockband symbol on em'. Take that point and click "play for prizes" and play 1 point towards a free RB download. It's an almost guaranteed win (im 18/18 with em) and then just tell them which song you want to download with the credit. They just give you a 16 digit wiipoint card code that's redeemable for 200 points. Also works for other platforms and I imagine they give you the equivalent of $2 in download credit for PS3 or 360 as well. More people need to get on that and pick up all the Wiiware games they've been on the fence about for a while. Support indie devs!!! I'm so glad I have. @Adamant FINALLY!!!!! Somebody with a little common sense. If the updates to the downloadable video game market are supposed to be the highlight of your week, then you clearly need a life. @ Adamant: I agree totally. unlike the Gamecube version, all the SSB64 characters are in Brawl, and the stages are so bare and lifeless compared to the updates. i guess its all about nostalgia, and I really can't see getting too bent out of shape about it. Like some other people already said, If a game is really anticipated, I'm sure you'd know at least a few days in advance if it's coming. If you don't get any notice, don't expect a big name game. Come on guys, chances are all your stuff is coming eventually. Except anything in the Mother series, but we knew that already. There are already waaay too many quality games on the wiiwae/virtual console out there to be pining every week for new ones. So true. So very, very true! @Adamant: Agreed. It was awesome when the N64 came out, but the other two games are far superior. Remeber you could be having monthly updates of tonnes of shovelware, but still only one or two good games, but instead you're getting them all spread out. I think it's better like that. Interestingly, in the manual for Family Mini Golf, it states the DLC is to be made available on June 8th but that's already past... which could mean that this game was supposed to come out a couple of weeks ago. Anyways, I'm heading to NEVES Plus now. This week seems OK to me, I can't say anything about the Wiiware games but at least one looks good, waiting for reviews in here. The VC game is good, or so I've heard, I don't like simulators thou . And, as I've always said, if it is ArtStyle it is good, not overwhelmingly good, but still good. Really hoping for Cave Story for next week. I didn't get to thank you for the nice Let's Catch review, it was awesome, it really put the game on my wishlist . I'm also eager to read your impressions on NEVES plus. I just saw the cave story video on Nintendo channel. Looks terrific. Between that and all the hype from people who've played the origional, looks like a definate instant download for me. Virtual Console: (SimEarth: The Living Planet). Sadly, it's another one game week, but onece again, it's a game I really want and it's from the TurboGrafx-16! I remember playing a couple Sims game an SimCity 3000, so I should get this! Guys, why are you complaining so much? Me and several other people care about the game and it's a TurboGrafx-16 game for crying out loud, a system that just recently got supported again. This can actually be a good week or at least an okay one. WiiWare: NEVES Plus is intresting, but that's the only WiiWare game that's intresting today. Neverthless, it should be a great week for WiiWare. DSiWare: Never heard of Art Style: BOXLIFE, but if the game gets an 8/10, it will be a good week and the game will be a good download. I have to say, they really did it again. All three sections has the potential to be good, so I can rest assured that I'll be enjoying at least one of the titles. And stop complaining guys, five weeks ago, the Virtual Console was a mess and now it's finally rebuilding itself again. Let's hope NOA doesn't purposely destroy the foundation. "...the Virtual Console was a mess and now it's finally rebuilding itself again"
Quantity/Quality-check! SImEarth's okay for VC. I just wonder why all the big titles (many of which EU already has) such as Rondo of Blood, SMK, SSB, Icarian, and (Drawing Animation app for DSi) are taking so long to release in NA. Meh, nothing for me this week. I'll just save my money for Shin Megami Tensei: Devil Survivor and The Conduit. That should keep me busy until next week. Better luck next time. Also, I am loving BoxLife. Very fun and addictive. Unlockables add to the addictive. Glad I bought this one. Hmmmm. Never played Sim Earth Well I do like Sim games. I've Sim City, 2000, and 3000. I MIGHT consider it. Looks pretty actually. Seriously guys grow up a little. Im hoping we get another "dissapointment" next week. Watching kids complain about this stuff is really fun. Anyone remember Sim Ant for the SNES? I wonder if that will also see a release. @Curt: Yes, I do clearly need a life. Unfortunately, I have been unable to locate one. If you know where I can get one cheap (or preferably free), please feel free to post it here. @WhoKnew: You DO realize that at least half of the complainers are adults, right? Or were you referring more to mental age than real age? @CuzinMike: Yeah, I have that, and Sim Earth on SNES as far as that goes. Never played either, though, as they're technically my dad's. Anybody know if Sim Earth is definitely better on TG16-CD than on SNES? Or is this just another instance of picking the system that doesn't require a Classic or Gamecube controller? Another week going by that I won't be getting anything. Not a bad week. It looks like some good pickups this week. I think Sim Earth is a solid title but might be a little to complex for my tastes. Neves looks good and I think that Family Mini Golf will be better than the last title. We need more VCA and Neo Geo titles. @Stuffgamer1: Mental age. I know most people here are older than me. Oh trust me when I say this people; for I didn't want to post my humble but bitter opinion anyway... because I knew I was going to be dissapointed too, but be stating the obvious like always! People on NintendoLife seriously need to grow up if you keep complaining like this... believe me when I say it gets old incredibly fast & majorly annoying! It's not like you can't have all of your perfect first party games come out all at once... Nintendo is the king of making its fans wait; so why NOT WAIT PATIENTLY?! (Note: only caps I'm using period to stay partly calm)! SSB64 will come out when its good & ready people! If not the end of June on the 29th; NOA must be holding it for July with the big WiiWare games... be it Cave Story, Icarian. & so on! Myself; I've had points saved up for SSB64 a long time ago; while I was waiting for Majora's Mask... but got sick of waiting & got something else! I got the money for more points anyways; & now I don't want to spend anymore money on points... & I've been holding onto my last 2000 points for SSB64 alone & Icarian Kinderd Spirits! I don't even care if I have to wait many countless weeks of shovelware I don't care about either; so today is no different! I knew Sim Earth was going to come out; along with 3 butloads of WiiWare crap... so no harm done! I just don't care about those games in general! So if I can wait patiently for SSB64 like everyone else; then so can you other people can too! It's not like anyone else on here has a highly intelectual brain & is highly smart; but to those who whine & complain a lot... those people seriously need to get a life! They are just games people; no need to get upset about them if a certain one doesn't come out! Trust me when I say all of this, (& its not to bite my head off/insult/or flame me); but you know I'm down to earth right about what all I said... it's te honest truth which I know you can all live with! any word on europ date for BOXLIFE? Any word on why Europe gets only 1 WiiWare and 1 DSi Ware Spiel and only all 2 weeks a VC Game? You'll prolly get it on Friday anyways, cause the games we get on Monday u gonna get it too eventually, just how u got PictoBits, KUBOS and NEMREM... u aint got to worry, NA just get all the weak games that i can see and u guys in EU are all gettin the good ones now.. its like EU is takin over NA now. Wow, Family Mini Golf is a lot better than what I had anticipated. It's definitely the best game in the series and by far the most enjoyable. The review should be up shortly for those who are still on the fence about the game. At least we get 4 Wii releases today. I think I will celebrate this week because of that. Oh, and I read that some people were anticipating SimEarth, so this makes this week even better (even if there was no [insert whiner game* here]). = Those are those games that cause pretty much everyone to whine about their VC releases. You know... Super Smash Bros, Mother 2, and Super Mario Kart? @ bboy2970: your right...but i still want it NAOW! time is gonna pass while playing DISASTER! HA! Nothing for me this week. But I'm at least glad we got so many Wii games. Let's see, not counting DSiWare (no DSi), we've got a boring mind training game, another beeping puzzle game, a game from the worst series on WiiWare, and an overly complex strategy game. Nothing for me this week unless Family Mini Golf defied all odds and is actually better than Fun! Fun! Minigolf. At least I got 2 good games last week with Space Harrier and Eduardo. After watching the nintendo channel video, i think i'll go out on a limb and say family minigolf may surprise us and actually turn out well. it's a slim chance at best but you never know! Wow never heard of any of these. Pass. Why don't the companies try and promote these ahead of time? Maybe they would spark some interest if tehy sent some press releases to like Nintendo Life, to get the word. Just having these appear is dumb. @mark chibi... I agree with you regarding family mini golf. @Captain Jack Sparrow: I agree 100%. NEVES plus! looks like it could be fun. Reminds me of the old tangram puzzle I had as a kid. I love me some puzzle games. I'm intrigued to buy SimEarth, EU folks get this on Friday as Hudson already announced it, still 5 games is quite nice. Well IGNs review came out and basicaly said that Family Fun Minigolf sucked. Didn't someone think differently here? @XCwarrior: IIRC, last time that happened (a publisher with a release date from Nintendo publicized its impending release before Nintendo had announced anything to the public), Nintendo got pissy about it and deliberately withheld that game on that date as a show of power. I forget what game it was, though -- some VC title that people were confused over because the publisher themselves had told them it would be released, and then suddenly it wasn't. Those were Mega Man and Ys Book I & II. I remember that day, lol. As for this update, SimEarth seems too complicated for me. Then again, I'm not a huge fan of simulation games in general. Sim Earth is great. Don't know what you guys are bitchin' for. And it was shortly after the release forcast fiasco that VC releases dropped to one a week. Odds are, there's a connection here, i.e. developers heard what Nintendo pulled and decided not to bother with them out of protest. Has there even been another Capcom game since Megaman 2 (or 3 if they did that; I forget)? I saw an ad for NEVES Plus and one other WiiWare game in a magazine recently. It said "available now!" even though NEVES Plus wasn't yet. @Stuffgamer1 -What nintendo pulled? Can you explain please? @longtimegamer: read theblackdragon's post #101. @89: People do seem surprised that Mother 2 isn't on the virtual console here yet, as though it NOT being out in Japan wouldn't be an indicator. First impressions of SimEarth... Wow this game is daunting! Pair that with long load times, very simple graphics, and talking planet introductions and you have a quick summery of what I've seen so far. I'm hoping things turn up from here. Guys, NEVES Plus is great! Anyone thinking they'll like it and are waiting for a review, don't bother. Just get it. There's no reason for you to be disappointed if the premise appeals to you, especially at a bargain price of only 600 Points for over 500 puzzles, addicting gameplay and multiple game modes! @Mark Chibi/Pablo: Good to hear! Daan also told me that he feels its the best in the series. I'm considering it more than I did before after the praise he had for it. So far, Pirate Party is the best but who knows, maybe that could change. I really hope you consider the DLC in your review because I've been assured that it actually is really challenging and in some cases, worth the price of admission if you like the game. @55. Adamant I agree people should have just not sold their copies in the first place. In my opinion SSB isn't the greatest thing to release for VC. I mean Melee just crushes it (Yes I favour Melee over the first SSB and SSBB). What we need are the first three Mario Party games. I've been borrowing them from a friend for a while but they are far more addictive and in my opinion still far superior to 6-8... Ah that was a bit off topic... back on topic! I still have to look into reviews but the Mini Golf sounds like a decent idea to me. I'd get Sim Earth but I don't think I really could pull it off, it depends on how hard it really is. I really want to try Boxlife and Neves but I don't have a DSi yet but they look promising though. I can gladly wait and see what comes out next week. Neves Plus is a terrific puzzler for $6; loads of content and some very fun, engaging multiplayer. I'm quite pleasantly surprised by this little title so this week's update was certainly not a loss. And Nintendo got two shovelware WW releases out of the way so that can only mean good things for getting the good stuff onto the service. Stop complaining, people, Ugh. "Back in my day," we had to wait actualy MONTHS for a couple new console games we really wanted to play. We sure as hell didn't have the terrific option of an online, downloadable weekly update. Be. Patient. Cave Story will be here soon. @Jockolantern - You forgot to mention you had to walk 5 miles in the snow in your bare feet. I've never been into sim games either, besides the Tycoon series, and I really need one that might hook me. Not to say that this is any less complicated, but at least it appeals to me(HUGE science nerd). @longtimegamer - Not to mention up hill both ways too. NEVES is not new but is a ton of fun and has many game modes including multiplayer. For it's price, is a steal! All you people bitching about Mario Cart and Smash Bros get over it those games sucked first off and second you have the games updated on the Wii. Mario Cart 64 is already on the VC too which is the first one that was actually any good. 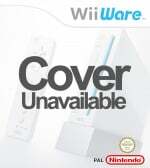 The games they need to release are Contra, Paperboy, and Base Wars among many many others. As for the Sim games they're alright I really want to check out that Spore game it's coming to Wii isn't it? I liked Sim Ant alot maybe they'll release that on VC one day and a Chess game for WW that you can play online, hint hint and maybe we'll see a better Texas Hold'em game that we can buy for $40 that implements Wii Speak~> But I'm happy for the moment until they start releasing one crappy game a week again then I'll go back to being the angry zombie wanting to eat a NOA employes face off. 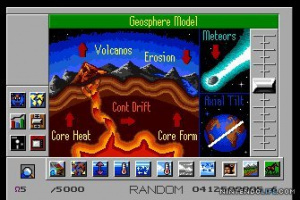 I used to play Sim Earth on my family's first computer (which was actually a Mac, unlike all the computers we've had since then). This version of it looks really clunky and awkward compared to what I remember of the version I played.